One of the leading trends today are painted cabinets. With our busy and over-scheduled social lifestyle, it calls for and demands, that our environmental designs shift to something clean and minimalistic. I feel that we are seeing an upswing in painted cabinetry for a couple of reasons; they complement the other designs and colors around them better. More flexibility in the design palette. They give an uncomplicated simplistic feel. I have been asked, “Lynn, why gray over white cabinets?” I know that white is very popular, however, it isn’t for everybody. Let’s face it, white can be an especially high maintenance choice in a busy kitchen. 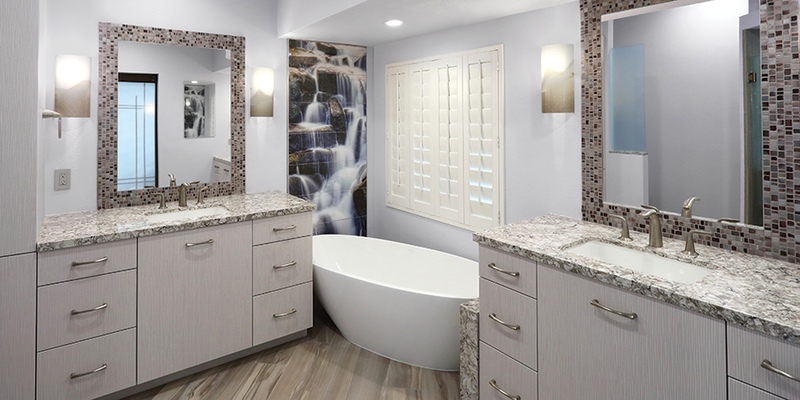 If a client has selected a traditional style, gray adds a contemporary finish. White cabinets have been popular for so long that gray tends to look more custom. The point of creating a custom space is to tailor it to an individual, not make it look like what everybody else is doing. 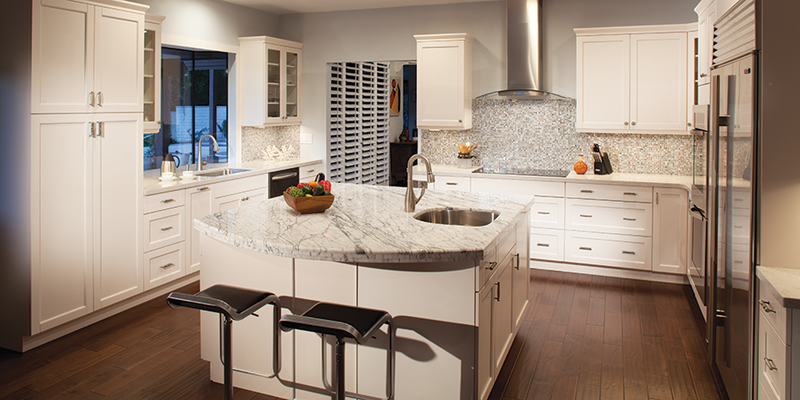 Whatever you choose, in the case of kitchen and bath design, begin with the countertop when doing painted cabinets. Then you can choose an interesting coordinating color to go with it, something that will be timeless but stand-out. Slate Blue is an excellent choice. You can always take it a step further and make it a featured piece like on the island. 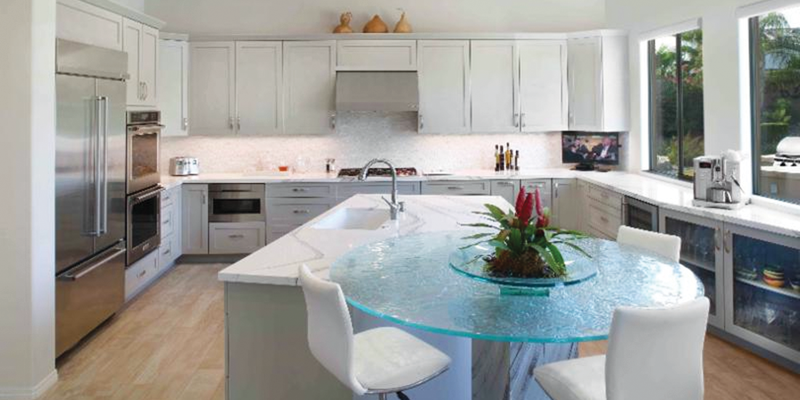 Don’t be afraid to use different colored cabinets, counters and tiles in the same design. Be unique and uncommon. You’re doing a custom space, why not make it as individual as you are? !